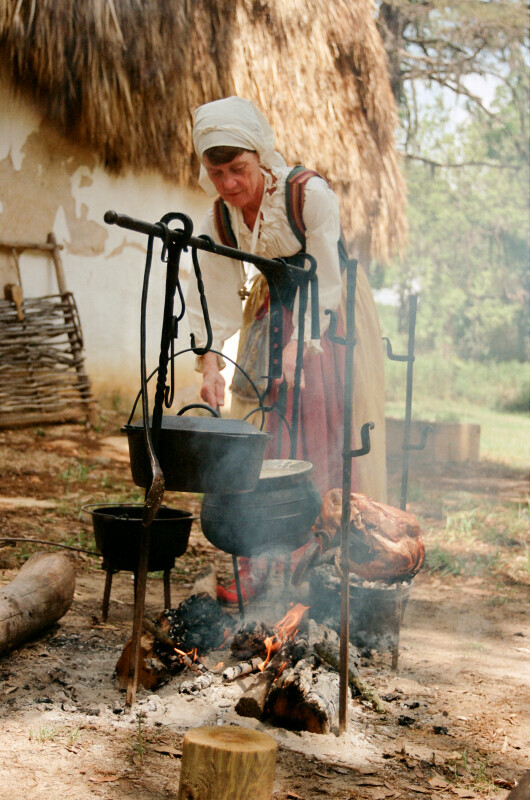 A reenactor at San Luis Mission extends an iron black poker into the fire. A column of white smoke rises up before her. She is wearing white-and-red traditional garb. WARNING: You are about to download a 48.9 MB TIFF!